This Ombre Frosted Wine Bottle is such a cool way to use old wine bottles! 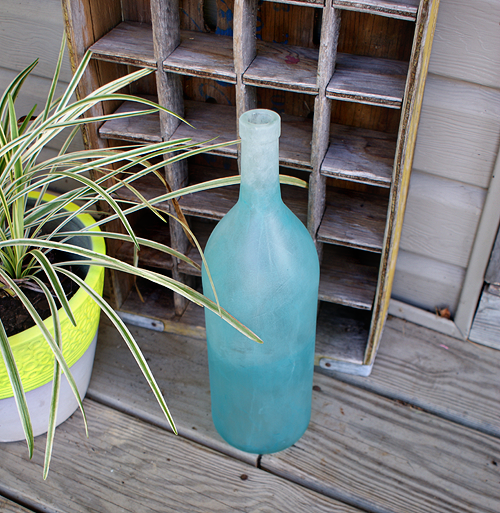 This DIY ombre wine bottle by Saved By Love Creations would be a great diy home decor project. It’s super cute and a great way to add color to a room.